KAUKAUNA – Holly Magness has been chosen to be the next principal of Victor Haen Elementary School, according to a news release from the Kaukauna School District. She will begin July 1, 2016, pending approval by the board of education. Magness has served as associate principal at River View Middle School for the past two years. 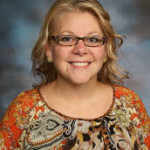 Prior to joining the Kaukauna Area School District, she worked in the Green Bay Area Public School District as a school counselor and, later, as an associate principal.